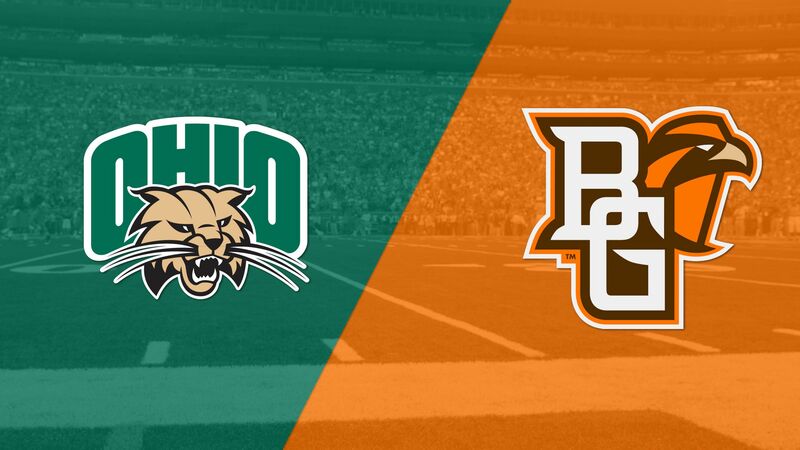 Ohio runs wild in 48-30 defeat of Bowling Green - College Football - Are You Watching This?! 2-L.Zervos extra point is good. 12-N.Rourke runs 1 yard for a touchdown. 32-A.Clair runs 1 yard for a touchdown. 45-A.Ouellette runs 2 yards for a touchdown. 12-N.Rourke complete to 9-A.Meyer. 9-A.Meyer runs 40 yards for a touchdown. 12-N.Rourke runs 75 yards for a touchdown. 12-J.Morgan complete to 88-H.Folkertsma. 88-H.Folkertsma runs 10 yards for a touchdown. 12-N.Rourke runs 7 yards for a touchdown. 46-J.Suder 32 yards Field Goal is Good. 12-J.Morgan incomplete. INTERCEPTED by 3-B.Ellis at BGN 15. 3-B.Ellis runs 15 yards for a touchdown. 45-A.Ouellette runs 6 yards for a touchdown. 46-J.Suder 35 yards Field Goal is Good. 46-J.Suder 42 yards Field Goal is Good. 91-N.Fields kicks 65 yards from BGN 35 to OHI End Zone. touchback.